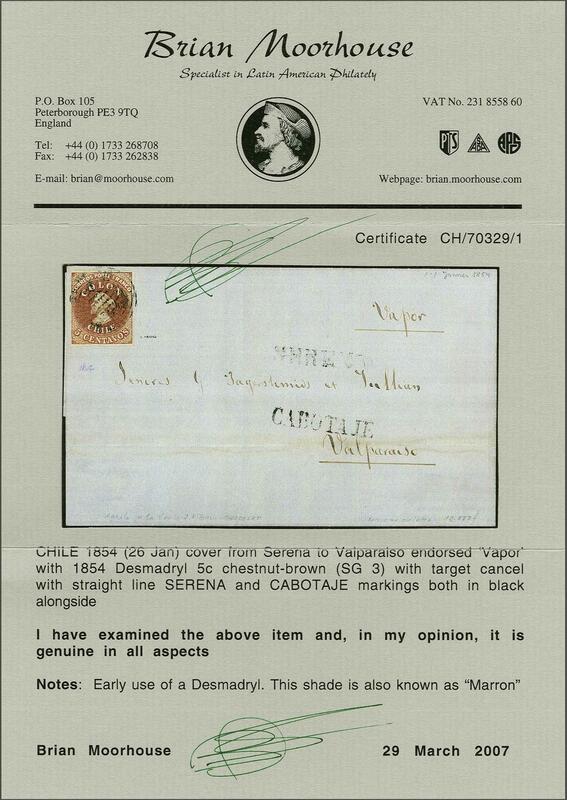 Recess by Narciso Desmadryl from Perkins Bacon Plates 1854 (Jan-Feb): 5 c. deep chestnut-brown, a fine used example with large margins on three sides and infintessimally touched at left, used on 1854 cover from Serena to Valparaiso endorsed 'Vapor', tied by target handstamp in black. Straight line SERENA despatch handstamp and CABOTAJE handstamp in black. 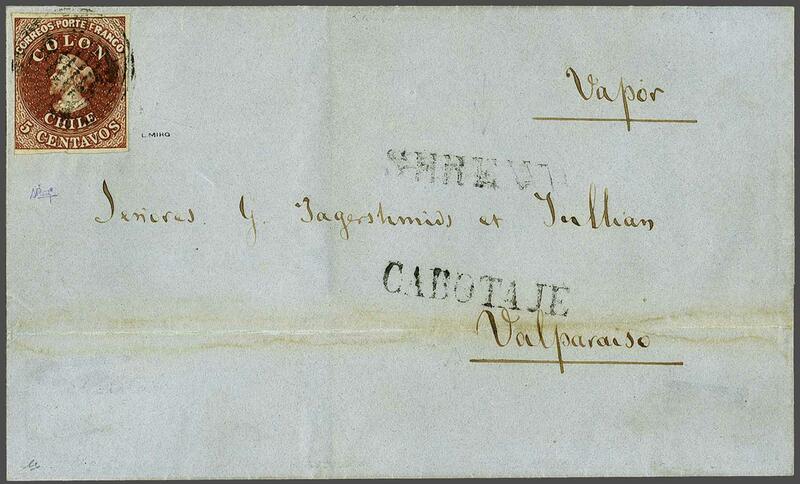 Internally docketed "26 Janvier 1854" and thus a fine and extremely early usage of the 'marron' shade on letter. Signed Miro. Cert. Moorhouse (2007).